One of the most influential of the Victorian philosophers, Henry Sidgwick (1838-1900) was the author of the masterpiece of utilitarianism, The Methods of Ethics. He also made important contributions to fields such as economics, political theory, and classics. An active champion of higher education for women, he founded Cambridge's Newnham College in 1871. He attended Rugby School and then Trinity College, Cambridge, where he remained his whole career. In 1859 he accepted a lectureship in classics, and held this post for ten years. He then changed direction and in 1869 took up a lectureship in moral philosophy. 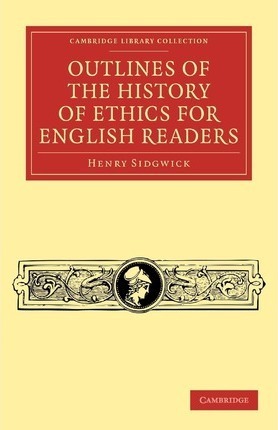 In this book, published in 1886, Sidgwick gives an objective summary of ethical philosophies throughout history. He considers general issues in ethics and then gives a detailed critique of the work of major philosophers from early Greek thinkers through to his nineteenth-century contemporaries. Preface; Introduction; 1. General account of the subject; 2. Greek and Greco-Roman ethics; 3. Christianity and mediaeval ethics; 4. Modern, chiefly English, ethics; Index.